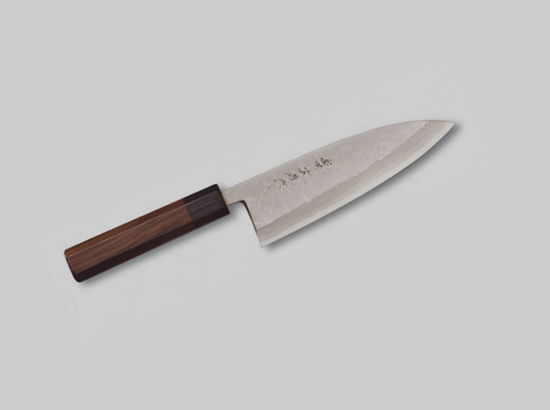 The single-bevel allows very fine sharpening and work right down to the last detail. All knives are also available for left-handers. Core: Shirogami steel, hardened to HRC63-64. Handle: Outstanding looking Ebony wood. Pakka wood ferrule bolster.